You are at:Home»Software»Flight Sim World Development CANCELLED! Flight Sim World Development CANCELLED! 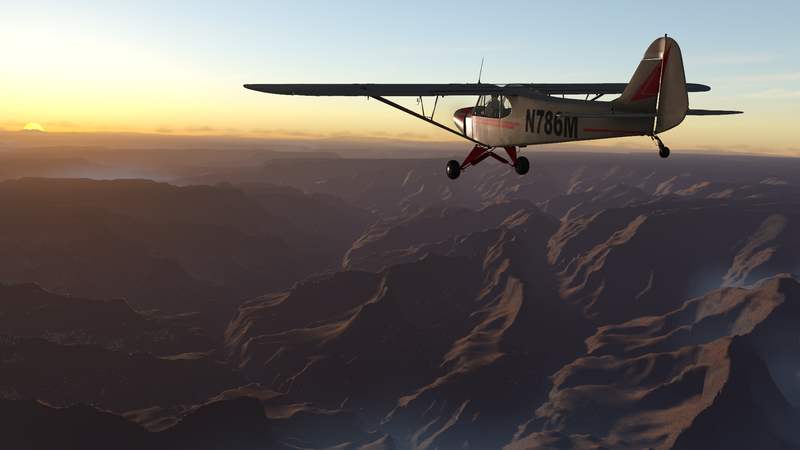 The development of Dovetail’s Flight Sim World has been brought to a close after “many detailed discussions”. In a post to their Steam Community page, Chris Mihalyfi from Dovetail Games wrote: “It is with great sadness that we announce the future closure of Flight Sim World. 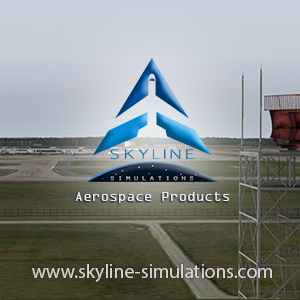 As you know, we always had a strong ambition to bring a new experience into the established world of flight simulation, one that deliberately overhauled both the flying experience and the graphical fidelity, offering new ways to fly. In a post on their Facebook page, PMDG CEO, Robert Randazzo wrote: “This morning we awoke to news that Dovetail Games has taken the long expected step of pulling the plug on Flightsim World, their hard-scrabble effort to re-invigorate the flight simulation genre abandoned by Microsoft. I don’t think anyone in the developer community is particularly surprised by this news, except perhaps that it took as long as it did for the inevitable to sink in. You may recall that I took Dovetail to task eleven months ago, for what we perceived to be Dovetail’s position as a dishonest broker within the long established community of developers and consumers of flight simulation. While all of us very much wanted to see them succeed in the development effort, it had became clear that Dovetail endeavored to subsume developers like PMDG by killing off established distribution channels, ending existing developer-customer relationships and forcing all developers to become subservient to their own marketplace established using rigid constraints designed to limit competition. The end result was predictable, if not entirely inevitable. You see, from the very beginning, this community has thrived on the concept of individual innovation and success. The innovators of the late 1980s begat the tools and concepts that lead many of us to begin development for flight simulation in the very early 1990s, and the results of those efforts created companies like Aerosoft, Flight1, Justflight, PMDG, and scores of others that you recognize today. Each developer and company worked hard to create new ideas, innovate new approaches and create a relationship with the customers community based on trust, openness and creativity. Along the way, individuals have sprung up from time to time that attempted to unbalance the community through selfishness or greed, (How many of you remember the Papa Tango fiasco?) In all of those instances, the community of simmers and developers banded together to keep things moving forward, pointed in the right direction. Developers acting with the community’s best interest at heart have long been supported by simmers, and the marketplace continues to expand and thrive with new entrants, new ideas and innovation. I don’t think you could find a more pure example of free market economics anywhere in the online world. 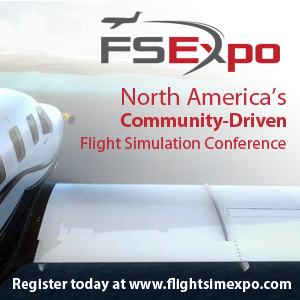 Five years ago, a group of us were involved in attempting to purchase the rights to FSX and Microsoft Flight from Microsoft with the intent to continue development for the benefit of this community. None of us had the financial strength to complete the transaction alone, so we joined together (sometimes uneasily) in order to build a marketplace in which all developers would be given a chance to grow and thrive in a living platform. Our fledgling conglomerate was grossly out-bid by Dovetail Games in part because we just weren’t well funded, but also in part because Dovetail leveraged their established, largely positive reputation along with a costly high bid. They knew from day-one that their plan was to subvert the third party development community and enforce high fees on their own distribution channel that we would all need in order to survive. They tried to gain cooperation by assuring us that this wasn’t the case, but the reality proved to be different than their promises and many of the long-standing trade names in this community (including PMDG) opted not to play along, which presented the dual problem of optics and finances. And THIS leads me to the entire point of this post: I like this community. Very much. I like simmers, I like our customers, I like our fellow developers, even those with whom we compete. (Okay, maybe not that one that stole from us, but that is another story for another day. :ph34r:) This community, for all of it’s trials and tribulations and ups and downs has a way of weeding out the bad actors, the malefactors, the thieves, the cheats and those who would do the community harm. You often don’t see it, but the development community supports one another, communicates with one another, and genuinely enjoys seeing one another succeed and thrive. So at PMDG, we don’t view today’s news as negative. Sure, we feel terribly for the developers who’s project was just trashed, because we know what it is like to pour your heart and soul into something for years on end- but this also wasn’t THEIR fault… The fault lies with whomever made the decision that all of us (simmers and developers alike) would follow a concept to certain death, simply because it was held out before us. Previous ArticleImaginesim KAUS Austin P3D V4 Released!